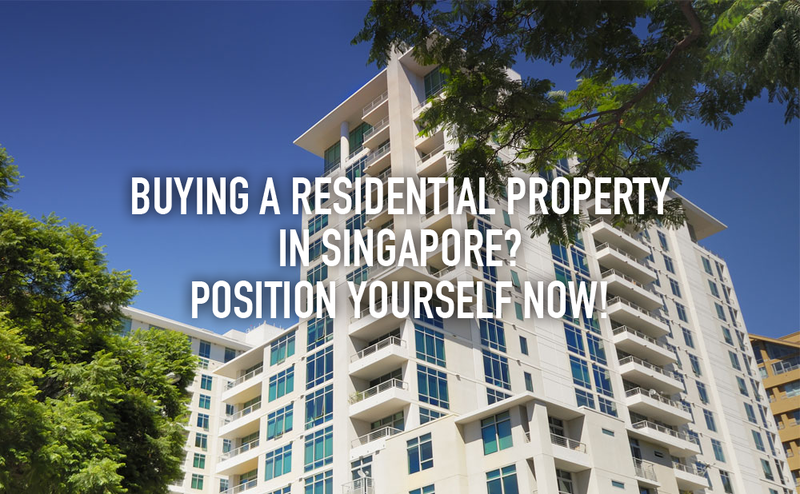 Buying a Residential Property in Singapore? Position Yourself Now! Are you still sitting on the fence waiting for property prices to drop before buying your next property? There’s no fault exercising prudence over such a major financial decision. However, while you’re waiting for property prices to drop, your chance of getting approved for a property loan may also be slimming down. Thanks to TDSR or Total Debt Servicing Ratio. In 2013, the Monetary Authority of Singapore (MAS) enforced a framework for processing and granting property loans in a way that strengthened and standardised the credit underwriting process used by financial institutions while ensuring that borrowers would only take a loan that was within their capacity to repay. Thus, Total Debt Servicing Ratio or TDSR was born. TDSR is the percentage of your income that can go into financing your new property, after calculating all your existing debts such as car loan, renovation loan, credit card loans, student loans, personal loans and other unsecured loans. TDSR capped the percentage of income for debt servicing to 60%. If your loan repayment exceeds this limit, then you will not be allowed to take the mortgage. For instance, you make $5000 every month. Your TDSR is $5000 X 60% = $3000. This means that if you need to pay $800 a month for your car loan, $900 for a home renovation loan and $300 for credit cards, then you would only be left with $1000 to service your mortgage. If your monthly loan repayment is at $1200, then you will be denied the mortgage. So if you didn’t have other loans, would you have a better chance of getting approved for property loan? Not really. Because mortgages are long-term loans, the interest rates for property loans are subject to interest spikes. Financial institutions use a stress test to determine if you can handle future interest spikes and still manage to safely allocate a percentage of your income to debt servicing. With TDSR, financial institutions standardised the stress test at 3.5% for home loans and 4.5% for commercial property loans. This means that property investors must maintain a TDSR of 60% amidst 3.5% – 4.5% interest spikes. TDSR also considers the income-weighted average age to consider the loan tenure. This means that only income-earning individuals will be considered in the calculation of income-weighted average age. Suppose you are 60 and you make $10000 a month. Your wife is 43 but not working, then the loan repayment tenure will only be calculated against your age. In this case, you can obviously expect less loan tenure (perhaps 5 years) because the financial institution will consider the years you will stay employed and generate income. With a shorter loan tenure, your loan repayment amount will be bigger. Before, families would rope in younger income-earning family members into the income-weighted average age to increase the eligibility for loan at longer loan tenure. With TDSR, this old tactic will no longer work. TDSR also lowers the approved amount for those with variable income, rounding up the variable income to just 70% of the actual income. For instance, your variable income is $4000; financial institutions will only consider $2800 as your actual income and calculate your eligibility for a loan based on this. As you wait on the sidelines for property prices to drop, you’re also putting a lid on your chance to take a loan on account of these cooling measures. Market watchers foresee a moderate price drop for private residential properties this year amidst a mounting supply of new homes and with the government encouraging less exuberance in borrowings. For property investors, market watchers advise to expect a weak leasing activity and the pain of having to deal with impending rise in interest rates. Not all is as blurry as it may seem. What the TDSR is simply telling property investors is that to be able to leverage from financial institutions later, now is the right time to position yourself for a mortgage. You can do this by cutting down on other borrowings to be able to increase your eligibility for a property loan. If you have variable income such as rent, fees and commissions make sure to collect receipts. You can’t stop years from passing, so don’t let your age hinder you from preparing to invest in another property. With all things right, you can actually have higher property loan eligibility if you start positioning yourself today. The post Buying a Residential Property in Singapore? Position Yourself Now! appeared first on Redbrick Mortgage Advisory. http://colab.sg/wp-content/uploads/2015/12/Buying-a-residential-property-in-sg-1-1000x430.png 430 1000 The Colab Team http://colab.sg/wp-content/uploads/2017/11/colab_logo_4website-1-e1511155990560.png The Colab Team2015-12-18 06:04:572018-04-03 11:42:36Buying a Residential Property in Singapore? Position Yourself Now!